Fruit roll ups are a snack that kids love, I know mine do. 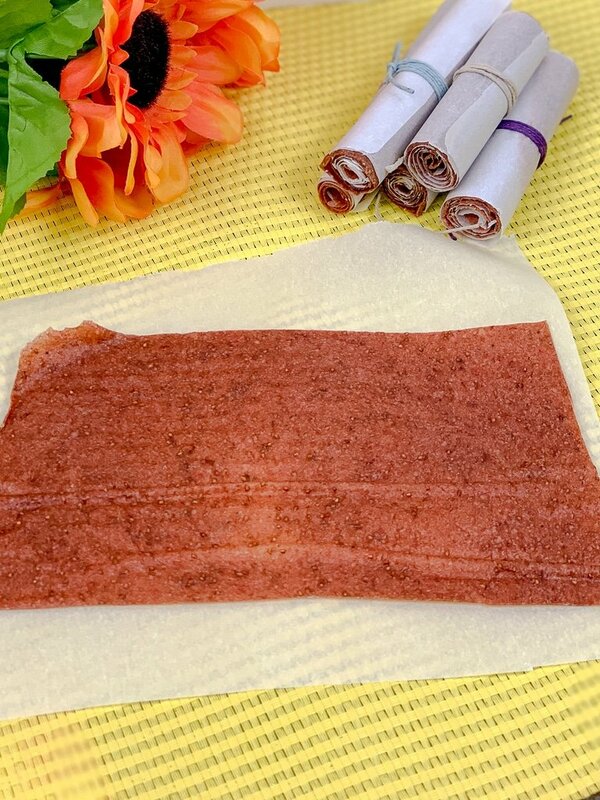 What if I told you that you can make homemade fruit roll ups at home in your air fryer oven using the dehydrator function. 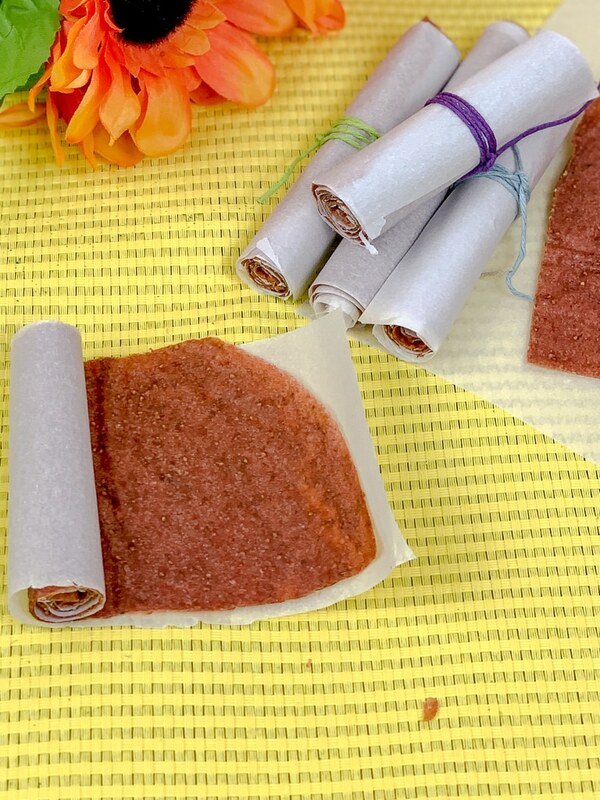 This fruit roll ups recipe is great and it makes it so the fruit leather is shelf stable. You can use pretty much any fruit mixture to make your own amazing fruit rollups. 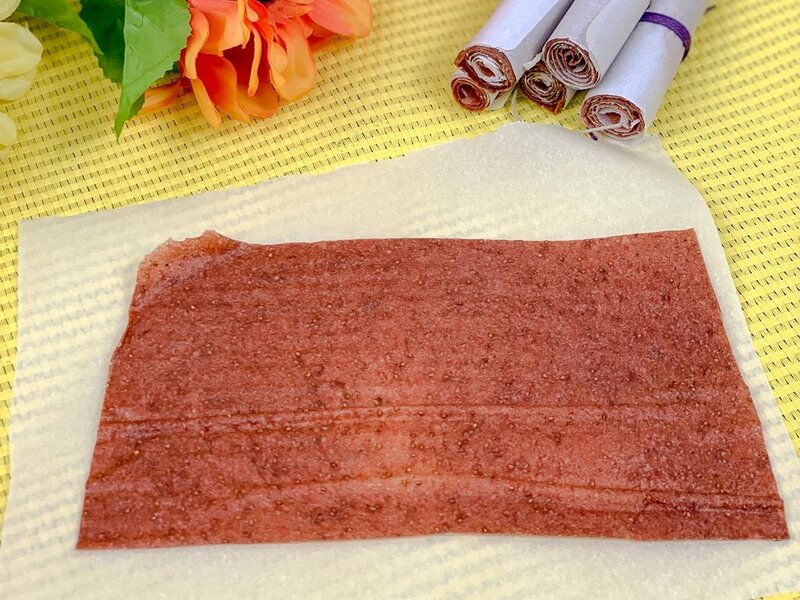 My favorite homemade fruit leather is strawberry fruit roll ups. This recipe is a really easy way to make a healthier fruit snack right at home. 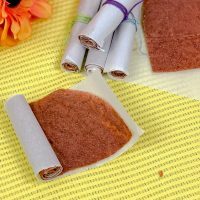 What are the ingredients in fruit roll ups? The recipe uses only 3 ingredients, fruit, Splenda and lemon juice. You will need a food dehydrator for this recipe, but I will also include how to do this in the oven in the recipe notes. Also, you will need parchment paper, a blender and your air fryer oven to make these fruit rollups. You will use the paper with your favorite fruit on it, after is dried and cut them into strips. Did you know that with your air fryer oven you can also make amazing dry fruits? These fruit rollups are so much better than the betty crocker version, in my opinion, and they are much healthier and made with way fewer ingredients. 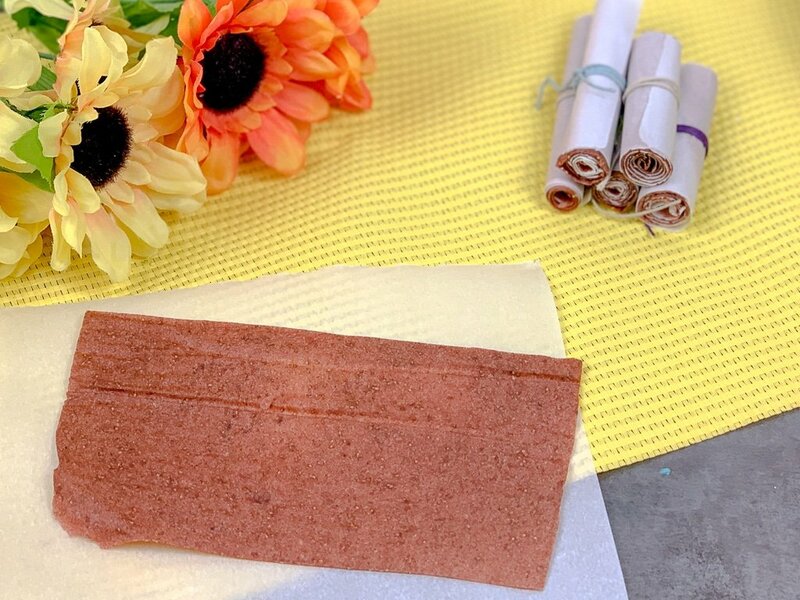 How long does homemade fruit leather last? This fruit rollups recipe will last about a month at room temperature or for up to a year if you wrap them tightly in plastic wrap or freezer bags. But I am positive the kids won’t let them last that long. My recipe is only 33 calories per serving and just 8 carbs per serving, sounds pretty healthy to me! You could even eat these in moderation as a low carb snack. How do you dehydrate fruit without a dehydrator? Yes, in the oven you can make these, just do everything as in the recipe, but use cookie sheets lined with parchment paper in stead of the dehydrator racks and put your oven on its lowest setting. 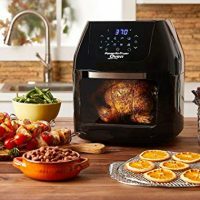 Check out these great recipes too for the air fryer. How do you make fruit roll ups in a dehydrator? If you follow my recipe below, you will be shocked at how super easy it is to make these at home. 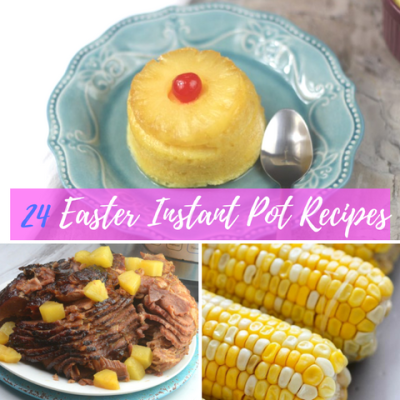 Check out the recipe below, it’s really easy to make! Fruit roll ups are a snack that kids love, I know mine do. 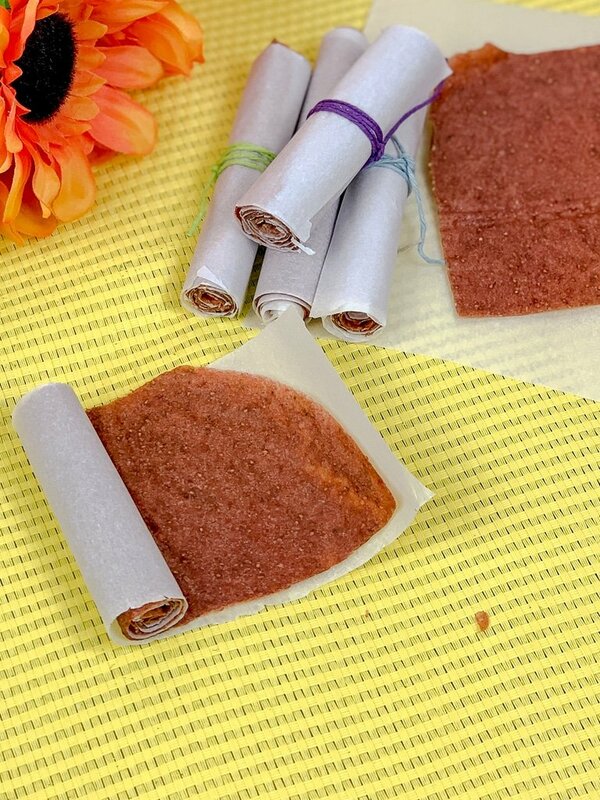 What if I told you that you can make homemade fruit roll ups at home in your air fryer oven using the dehydrator function. 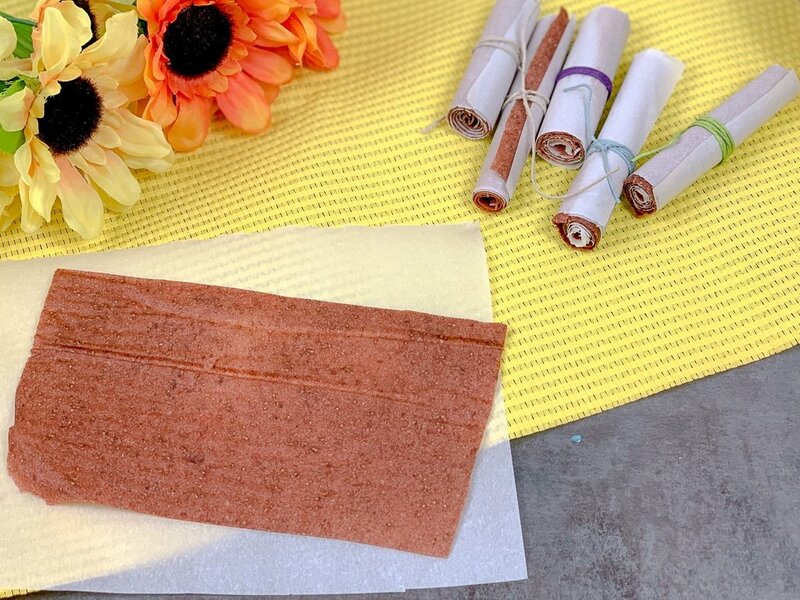 This fruit roll ups recipe is great and it makes it so the fruit leather is shelf stable. Blend your strawberries, sugar and lemon juice until smooth. Line the dehydrating racks with parchment paper. Spread the fruit mixture evenly across the dehydrator rack. Press the dehydrate button on the air fryer oven and then set it to 140F (60C). You will dehydrate for 9 hours. 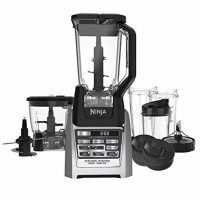 You will know it's done when the fruit is leather when you lightly touch it and it is no longer sticky if still sticky set again in 1 hour increments. Cut into slices and roll. Store in an air tight container at room temperature for up to a month or in the freezer for up to a year. In the oven do everything as above, but use cookie sheets lined with parchment paper in stead of the dehydrator racks and put your oven on its lowest setting.